This PR proposes a completely different algorithm to find the FWHM. The old algorithm estimated the FWHM by finding the closest values to the half maximum value. 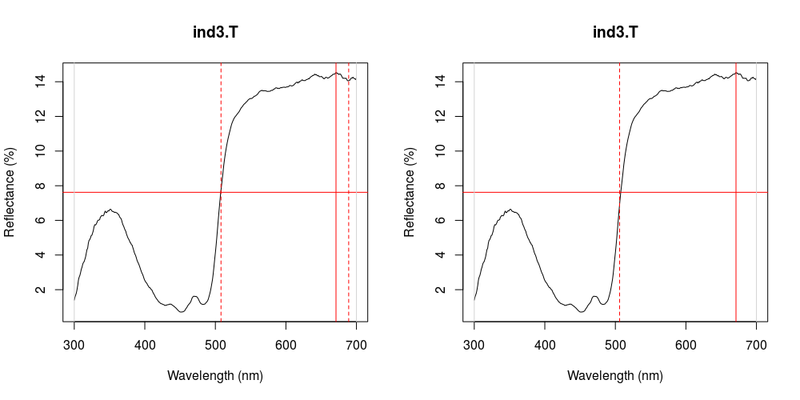 This meant that it could easily make mistakes when spectra had multiple peaks (see plots below). With the old algorithm, it was very had to determine when the FWHM overlapped with the wavelength range. This means that the right-hand side value (HWHM.r) was not actually at half maximum but was the lowest value to the right of the FWHM. 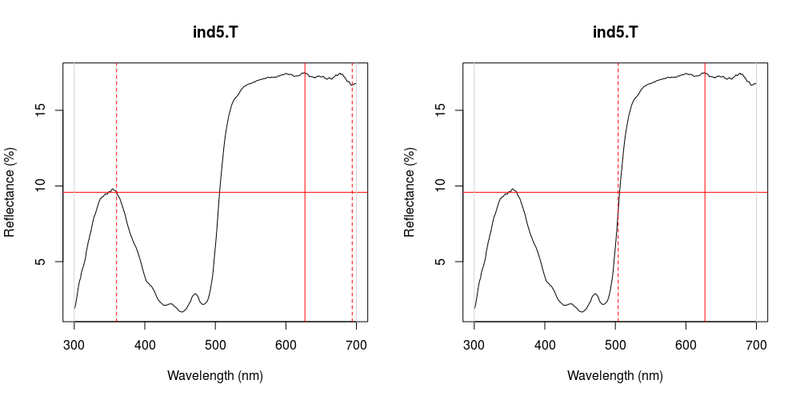 With the new algorithm, it's trivial to detect such cases and peakshape() now accordingly returns NA when the FWHM range overlaps with the wavelength range. Sure! I'll probably have a go in a couple of days!